Okonomiyaki literally means “what you like” or “what you want” and is basically a dish consisting of a mash-up of various ingredients cooked together to create a delightfully delicious combination that even a picky eater like me enjoyed. After exploring Nara all day and working up a sizable appetite I could not have had a better meal than okonomiyaki, the super fresh ingredients combined into a meal that was a good test for my improving chopstick skills. In the end I could’t devour it all but I was very satisfied. 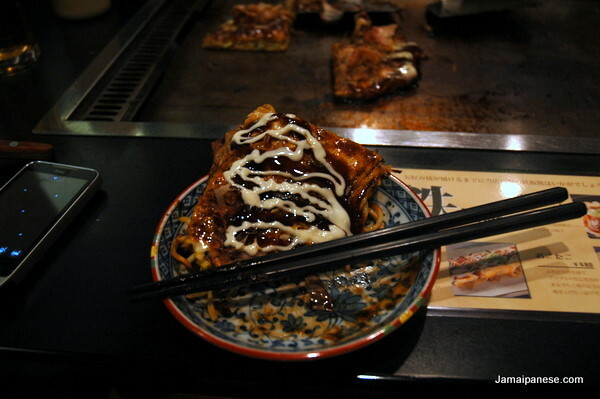 For the full details of my okonomiyaki experience check out – Eating Okonomiyaki in Kyoto.